Ask about the option of programming a wireless key fob to give you the convenience of arming and disarming the security system. Let us help you to rest easily knowing your most valuable assets are safe and secure. 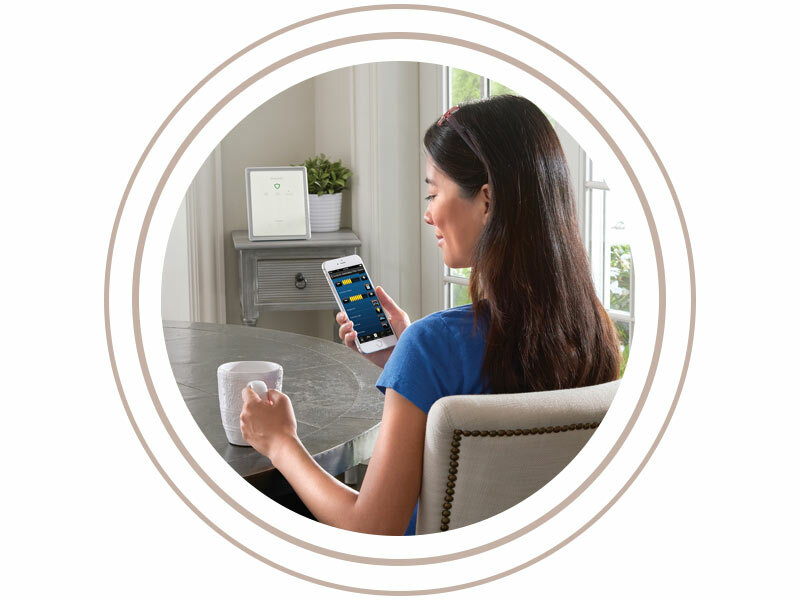 The Lyric system is intuitive, easy to learn and easy to use, whether you’re controlling security, thermostats, cameras, lights or locks with a tap on the touchscreen or the sound of your voice. No schedules, no programming and no complex menus – simply security and comfort when you’re home, and savings when you’re away. Though a security system is the first step to securing your home and possessions, the next is professional, and trustworthy monitoring. Maintain reliable oversight of your residential or commercial property with high-quality closed circuit and IP camera systems. We offer 24/7 monitoring of your home and equipment through our cellular radio network.